The Atlas offers a global overview of leading 20th-century architecture, documenting 750 key buildings on a regional basis. French was commissioned to contribute entries on 60 housing projects. Each is presented through drawings and photographs, key data and explanatory text. The Atlas takes a novel perspective in defining a ‘geography’ of architecture, with key buildings from each world region selected to illustrate the architectural culture of that region: a regional cultural geography rather than a chronological stylistic analysis. The articles capture location and siting and the relationship between the design and its regional political and economic context. As architectural history, its significance lies in documenting the local national or international culture of the period on the design of the buildings, and the influence the buildings had on any subsequent architectural developments. Each building’s physical qualities – form, function, structure, construction and materials – are described in a way that assimilates the principal architectural concepts defined by the architect with contemporary regional design interpretation. The articles ‘challenge the Eurocentric tone of much architectural history, [starting] with Oceania and Asia’ (The Observer, 2012). The publisher purchased a selection of French’s drawings from her REF Output 1. 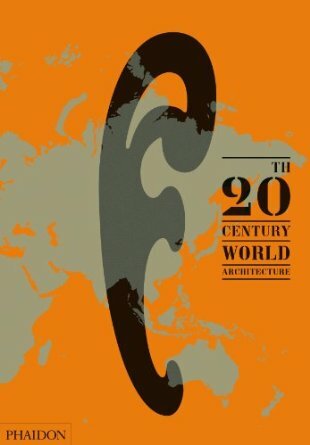 Favourable critical reception (see http://uk.phaidon.com/store/architecture/20th-century-world-architecture-9780714857060/) includes ‘extraordinary depth and range’ (Stephen Bayley in The Spectator, 2012), and ‘remarkably comprehensive…Most striking, perhaps, are the numerous social-housing complexes’ (Architectural Digest, 2012). ‘Private homes, stores, skyscrapers and factories are well-represented – and we did build some stunning factories – but so are museums, libraries, gymnasiums, metro systems, airports, and public housing’ (The Atlantic, 2012).